Last weekend, Stratolaunch Systems performed high-speed taxi tests of the world’s largest aircraft by wingspan. The tests represent continued progress towards the maiden flight of the plane. The Stratolaunch carrier aircraft will serve as a mobile launch platform for rockets including Orbital ATK’s Pegasus XL. Stratolaunch was founded in 2011 by Microsoft co-founder Paul G. Allen, with the goal of increasing access to Low Earth Orbit. The system uses an aircraft to launch rockets instead of the traditional launch pad. Air-launch comes with a few key advantages. For example, the launch vehicle has to fly through significantly less atmosphere. Also, weather delays are not as common, as the rocket is released from an altitude above most weather systems. 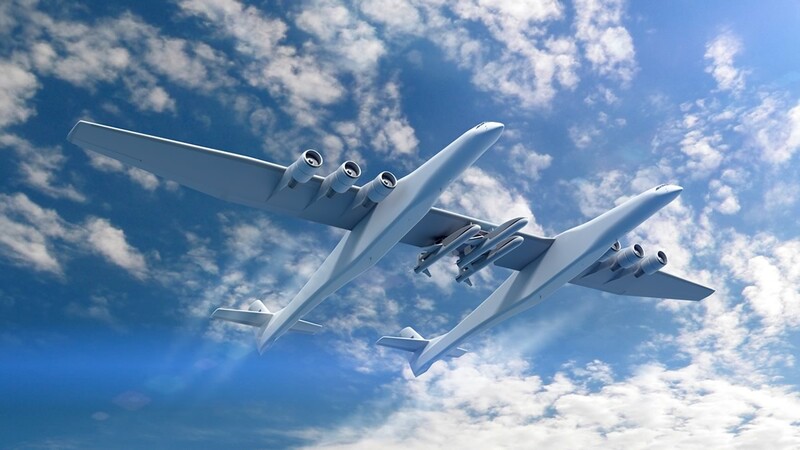 Initially, Stratolaunch planned to work with SpaceX to develop a launch vehicle. The goal was to build a four or five engine variant of the Falcon rocket designed for air-launch. However, work between the companies ended in 2012, after SpaceX determined that too many modifications were required. As a result, Orbital Sciences (now Orbital ATK) was selected to replace SpaceX. Unlike SpaceX, Orbital already had a proven air-launch vehicle in the Pegasus – a rocket with 29 successful launches in a row. 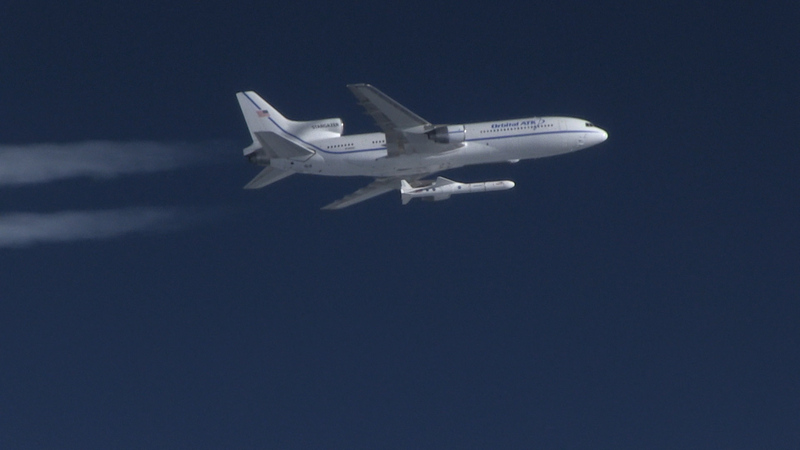 Orbital ATK’s Stargazer carrier aircraft releases a Pegasus XL rocket carrying NASA’s Cyclone Global Navigation Satellite System. Image by NASA. 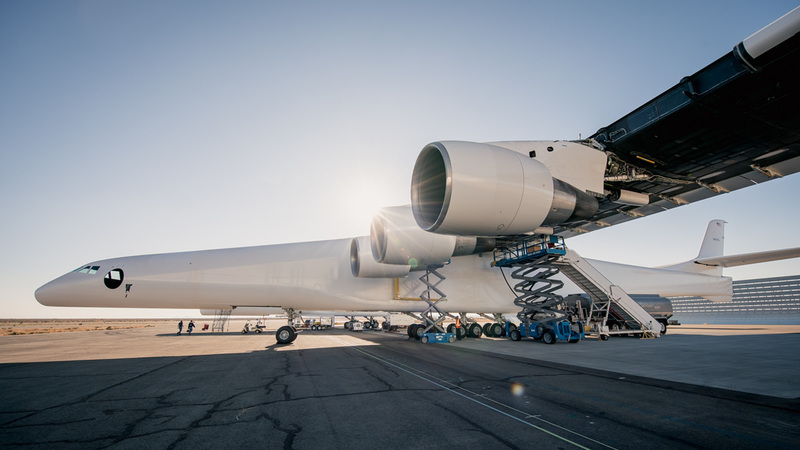 While Orbital ATK prepares to begin operations with Stratolaunch, the fate is unclear for launches from Orbital’s Stargazer aircraft – the current carrier for Pegasus. There is only one Stargazer based launch remaining on the Pegasus manifest – the Ionospheric Connection Explorer (ICON) mission for NASA. Therefore, it is possible that all Pegasus missions will transition to Stratolaunch after ICON launches in 2018. The Stratolaunch aircraft features three 747 jet engines on each side. Photo by Stratolaunch. A Stratolaunch visualization of their aircraft carrying three Pegasus rockets. In May 2017, the Stratolaunch plane rolled out of its hangar at the Mojave Air and Space Port for the first time to begin fuel tests. In the fall, Stratolaunch moved into stationary engine tests. These were incremental, with the engine’s power gradually increasing over time. Finally, in December Stratolaunch capped off the year with a successful low-speed taxi test. During the taxi, the vehicle reached a top speed of 28 miles per hour (45 kilometers per hour) as it headed down the runway. After that, the path remains unclear. Stratolaunch likes to keep a low-profile in terms of scheduling. However, as of last year 2019 was the target for the first launch. During commercial operations, the aircraft will be capable of performing approximately one mission per week. 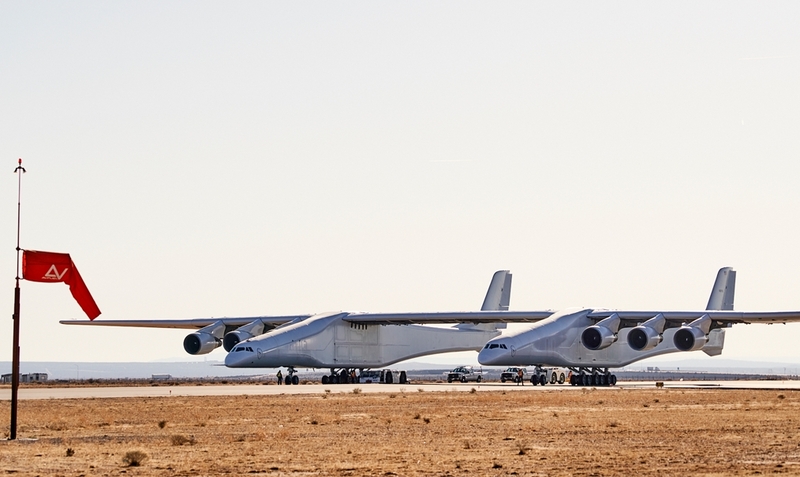 Stratolaunch will primarily fly out of its base at the Mojave Air and Space Port. However, other airports can be utilized, as long as they can handle the large wingspan. Initially, Stratolaunch will carry one launch vehicle at a time. Flights with multiple rockets will occur once operations ramp up. Release will occur at approximately 35,000 feet (10,668 meters).